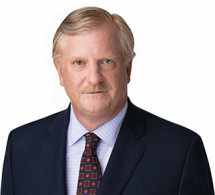 Mr. Carley received his undergraduate degree from the University of Michigan and his law degree from the Michigan State University College of Law (formerly Detroit College of Law). He has been a litigator for the past 27 years. At the beginning of his career he represented physicians and Hospitals. For the past 20 years, he has represented individuals injured by medical malpractice and the negligence of others. He has multiple million-dollar verdicts in medical malpractice cases, including the largest such verdict in Northeast Michigan. He has also obtained verdicts for injured clients in vehicular, construction, employment, products, and admiralty cases. In addition to his trial practice, he has successfully argued in the Michigan Supreme Court, the Michigan Court of Appeals, and the Sixth Circuit Federal Court of Appeals. He is happy to be joining the state's foremost Medical Malpractice firm.